Thunderstorms this evening followed by occasional showers overnight. Low around 45F. Winds WSW at 5 to 10 mph. Chance of rain 80%..
Thunderstorms this evening followed by occasional showers overnight. Low around 45F. Winds WSW at 5 to 10 mph. Chance of rain 80%. 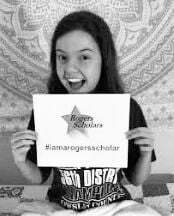 The Center for Rural Development has selected Owsley County High School student Shelby Campbell to participate in the 2019 Rogers Scholars program. Campbell will join 66 high school students from Southern and Eastern Kentucky this summer for the 22nd annual Rogers Scholars youth leadership program. Campbell is the daughter of Donnie Campbell and Minnie Ginter of Booneville, KY. Established in 1996 through the vision of U.S. Congressman Harold "Hal" Rogers, (KY-05), and other leaders, The Center for Rural Development is a nonprofit organization fueled by a mission to provide leadership that stimulates innovative and sustainable economic development solutions and a better way of life in Southern and Eastern Kentucky. In its 45-county primary service region, The Center provides innovative programs in leadership, public safety, technology, and arts and culture. The Center is committed to constantly expanding its capabilities in order to deliver a range of key services throughout Kentucky and the nation.